The River Naver is the largest river in Sutherland, in the north of Scotland, and arguably one of Scotland’s finest salmon rivers. Situated in the heart of the stunning Scottish Highlands, the river flows 21 miles northwards from Loch Naver to Torrisdale Bay. Accommodation is available in either the impressive Syre Lodge or Dalvina Lodge, which is nestled on the banks of the Naver itself. As well as the River Naver, additonal fishing is also available on the River Mallart which is fed by Loch Choire and flows into the River Naver. There are also numerous hill lochs on the estate which provide some fabulous wild brown trout fishing. Red deer stalking and woodcock shooting can also be arranged. Sutherland is one of the remaining true wildernesses in Great Britain. Syre is an ideal sanctuary sitting in an unspoilt, natural and beautiful landscape boasting exceptional yet private salmon fishing. Syre and North Loch Naver Estates have three of the six rotating beats with each beat permitting 2 rods. Fishing is strictly by fly only and, with one experienced ghilly allocated to each beat, fishermen are always well advised and well looked after. In total there are over 80 named pools; fishing parties have the oppotunity to fish each and every one during their week long stay. 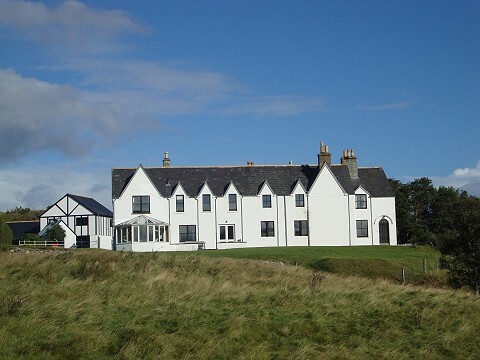 Fishing is let with accommodation in the spacious and comfortable Syre Lodge, a former hunting lodge belonging to the Duke of Sutherland, which sleeps up to 10 people. Dalvina Lodge is available on a self-catering basis and sleeps up to 8 people, ensuring that Syre is the perfect location for the discerning fisherman. 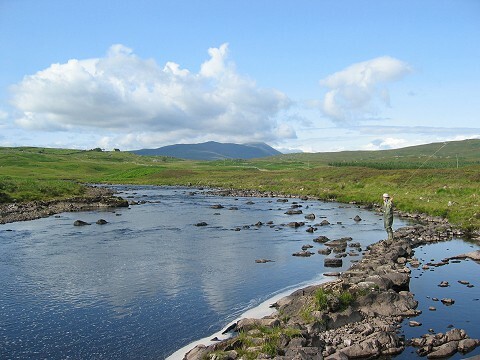 The River Naver is designated a Site of Special Scientific Interest and a Special Area of Conservation by Scottish Natural Heritage for not only its atlantic salmon but also its freshwater pearl mussel population, the latter is of course now protected. Fishing tenants have the option of red stag stalking from August onwards on both North Loch Naver and Syre Estates with one of the estate’s experienced stalkers. Red stag stalking is available to parties either with our without accomodation at Syre Lodge (from October onwards) or Dalvina Lodge (from August onwards). Woodcock shooting and hind stalking can also be arranged for small parties from November onwards. Greens Chartered Surveyors are the managing agents for the Syre and North Loch Naver Estates. For further information, please visit www.greens-cs.co.uk.